Why are Adventure games controversial? What is their history? Which were the most famous? And what is their future? Adventure games cause controversy sometimes: Some people love them, some even hate them. Why? Maybe because - unlike other types of computer and mobile games - they require a bit of thinking. But players are often rewarded by an elaborate story and a plot that is still evolving in these games. But make no mistake: Even adventure games can take many forms. Computers were evolving during their history and so did adventure games. Text descriptions were mostly replaced by graphics and originally a simple interface of these games changed as well. At first, the players were using text commands even in graphic adventure games - to go and to pick up an item or to use an object, they had to use commands like go to the door or take the cat. These commands later evolved to graphical icons and eventually they mostly disappeared: It is usual today just to click or tap to a place on screen and your hero will do what can be done there. For example: If you click to a thing for the first time, the hero takes a look at it. When you click on it for the second time, the hero will take it. This is the reason why today's adventure games are often referred to as to point-and-click adventure games. The most important thing for any adventure game is an elaborate storyline and interesting quests solved usually by using collected objects: In a box you'll find a key, which opens doors; various ingredients allow you to cook a magic potion... In some adventures you can also find various puzzles - and as it often happens, there are many supporters and many opponents of them. Just as there are supporters and opponents of adventures, where the main task is to find hidden objects in graphics (hence the name of one category of adventure games - hidden objects games; but beware, not all the games that are marked as hidden objects games, are really adventure games - in some of them you are just looking for hidden pictures and nothing interesting happens there). The common feature of all adventure games is developing of their story and continuously finding new and new places - and objects. In the other aspects the games, as has been suggested, may vary significantly. In some of them the hero is animated and walks around the stage, elsewhere the hero is static and in other adventure games you can see the scenes from the first person view. Some games use a lot of texts, others try to minimize them... And in some games you just have to escape from a place - it's a special genre named Escape Adventure Games. The golden era of adventure games was in the 80s of the 20th century. Among the most famous adventure games you can find these released by Sierra On-Line, namely series King's Quest, Police Quest, Space Quest and Leisure Suit Larry (you can see a picture from Larry game remake for Android at the top of this page), but also The Secret Of Monkey Island from LucasArts or The Legend of Kyrandia (see one of the pictures here) by Westwood Studios and Simon the Sorcerer (see one of the pictures here) from Adventure Soft. As the names suggest, the famous games offered all sorts of ideas and took place in a variety of environments. A common ingredient was some sort of magic - for example in Kyrandia or Simon, some of them took you into space (Space Quest), to exotic islands (Monkey Island) or to a world of beautiful women (Larry). 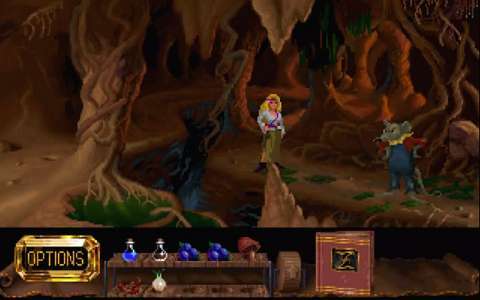 Many celebrities participated on the creative process of adventure games. To name just one: Douglas Adams, the famous writer, author of The Hitchhiker's Guide to the Galaxy, created - in cooperation with Infocom company - a game based on his popular book. And one more, lesser-known, called Bureaucracy. Although some people are still talking about the demise of this genre, it is definitely not true. Quite the contrary: New adventure games are available not only on PCs, but on mobile devices as well - you can play them on smartphones and tablets. Performance and graphics of these gizmos is good enough to play even the more demanding adventure games. 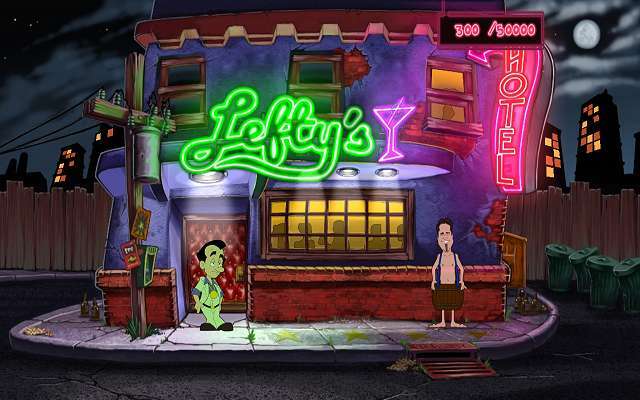 Some of the mobile adventure games are just clones of previously released games for the PCs - for example, the first part of the above-mentioned series of Leisure Suit Larry; this clone provides significantly improved graphics and minor changes in the plot. 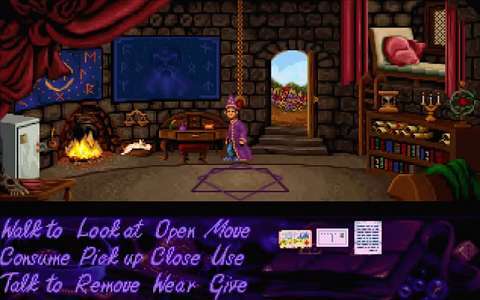 Some of the older games are just transferred to mobile platforms - in their original form: Especially the ScummVM system allows to Android devices to run games originally created for PCs - like Indiana Jones and the Last Crusade, the already mentioned The Secret of Monkey Island or Simon the Sorcerer. However, if you want to play these games, you must be prepared for pixelated graphics appropriate to the time when these games were born. Let's hope even this brief overview of mobile adventure games shows that this genre is still evolving and offers various kinds of games. If you want to take a look at the best free adventure games, read our article Top 5 Free Adventure Games for Android. As one classic is saying, to make any predictions is tricky - especially if they should be related to the future. The genre of Adventure Games has undergone a lot of changes in the past, some of which have won the hearts of players and some not - and many others simply divide the players base. What are your preferences? Would you prefer to play a fully dubbed game? Or, maybe, just plain textual one? Would you prefer the hand-drawn graphics, animated by hand, or do you prefer the 3D graphics? Are you ready to pay for mobile adventure games, or you don't mind to see ads in games? Do you want to use specific commands to control the game, or do you prefer to point and click? The most successful adventure games offer interesting storylines, nice graphics and quests that are not overly complicated (though here, as it turns out, it is very much dependent on an individual view: What one player considers complicated, another considers to be too easy). We in the GameCondor magazine believe the era of adventure games is far from over. Just it is - as it always has been - undoubtedly true, that this kind of games is not for everyone. Definitely not for those who prefer to shoot at everything that moves... But if you like to play games with a story and think about what your hero should do to progress further the adventure games are probably the right games for you.